There is a long history behind the design and shape of the bicycle we see in this modern age. There was no pedal and steer mechanism in the earlier bikes. So, Riders had to propel the bicycle using their feet. To stop or slow down the bicycle they needed to use their feet as well. The inventor of the bicycle could not presume that his invention will be used as sports also. That’s why the evolution of bicycle is very interesting. As the time past people started thinking about the rider’s convenience. So, here is the timeline and the development history that made the bicycle convenient for us. There is an argument about the invention of the first bicycle. Some people claim that the idea of making bicycle had taken from the sketch of Gian Giacomo Caprotti, who was a student of Leonardo da Vinci. But later Sir Hans-Erhard Lessing refused the claim of the Caprotti sketch and described this as proposal fraud in his paper text “The Evidence against Leonardo’s Bicycle” at the 8th International Conference on Cycling History, Glasgow School of Art, on August 1997. Another earliest bicycle celerifere also described unverified by the “Louis Baudry de Saunier”, a French journalist, which was demonstrated in France 1792. He thought that it was a misinterpretation, and the bicycle had four wheels instead of two. The first Human powered verified bicycle was made by the Karl Drais in 1817, who was a German civil servant. His bicycle is known as DraisineThe bicycle was invented as an alternative to the horses. Because in 1815, the Tambura volcano eruption destroyed the crops, and the horses became weak for the starvation. In his bicycle, he added the steering but there was no pedal on the bike. So, he used his feet to propel the bike forward like the kid's balance bike of this days. The concept of the pedal in the bicycle was first applied by the Scottish blacksmith Kirkpatrick MacMillan in 1839. The pedal was connected to the rear wheel in the treadle and the head tube section of the bicycle. His bike is popularly known as Velocipede. To run the bicycle, the riders just needed to oscillate the pedal. MacMillan also tried to introduce his bicycle commercially but his production of Velocipede totally failed. The design he developed to add the pedal was a much troublesome for riders to oscillating the pedals. So, he couldn’t sell a single piece of the velocipede. The bicycle pedals evolution is also a great development to the evolution of bicycle. Instead of mid-mounted pedals, Boneshaker added the pedal to the front wheel of the bicycle. This bicycle was developed by the French father and son Pierre and Ernest Michaux in 1863. The design of boneshaker was much simpler than MacMillan’s Velocipede. The front wheel of the Boneshaker was larger than the rear wheel. The modern suspension technology of mountain bike was first introduced in this Boneshaker. They used a piece of iron over the frame to make a suspension system. These two inventors made a huge profit from their commercial boneshaker production. This bicycle is similar to the modern tricycle we see for the kids. To increase the speed of the bicycle in 1870, a French mechanic Eugene Meyer developed the design of the front wheel. The idea of modern pedals was not yet introduced by any inventors. So, there was no option without increasing the wheel size. So, he made the Penny-farthing keeping the same pedal system like Boneshaker. The wheel was nearly 4 feet tall. 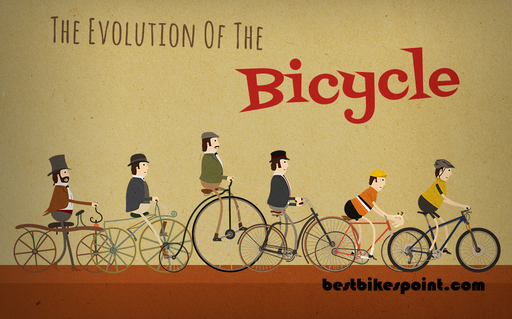 In Between 1880 to 1890, there was a huge change in the development of bicycle. Inventors started thinking about the safety of the rider. To ensure the safety, two English inventors Browett and Harrison introduced the brake caliper1876. Later in 1884 British bicycle maker John Kemp Starley invented the first safety bike adding the brake caliper. He also adopted the rear wheel chain driven mechanism which was invented in1879. The braking system, inflatable tiers, Chain driven wheels and steering were invented before the 19th century. After the 19th century, bike production houses concentrated on the speed development and the comfortable in riding the bicycle. In 1903, the journey of road bike started from the world’s most popular cycle race “Tour De France.” Though the gear System in the bike already invented before 19th, but the European racing organizations allowed the racer to use gears after 1930. To change the gear, the racer had to change the wheel. To solve this gear changing problem, designers added three cogs on the rear cassette of the bicycle. While the world was crazy about the multispeed road bike and single speed cruiser, which is also called Fixie, in 1971, The Era of BMX started from California. And the first freestyle BMX show was held in 1980. The BMX craze was not satisfactory for those who loved adventures. They were thinking about a multifunctional bike that can be used in all categories. As a result, in 1979, Joe Breeze first created the mountain bike. In 1981 the mass production of mountain bikes largely introduced the new features in the bicycle. 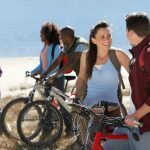 Better traction, wider tiers, lightweight frame and dual suspensions, all of these features made the mountain bikes most popular to all age’s people. The design and features of the bicycle have been evolving since the 18th century. But in this 21st century, there are no noticeable changes made in the design of the bicycle. Now the bicycle industries are only concentrating on the technologies that can be used in the bicycle. 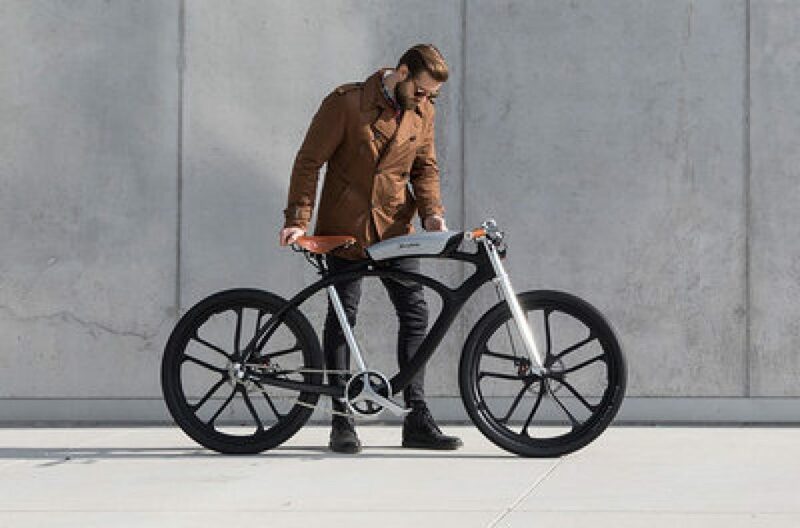 The electric mountain bike is the most current development in the bicycle history. Instead of changing the design, Bicycle industries are trying to make the bike comfortable to the rider. The evolution in the bicycle design differentiates the bicycle into five main categories. These are the Mountain bike, road bike, tandem bike, BMX and folding bike. There are different types of mountain bikes available on the basis of the bicycle track. Cross country is the most popular mountain bike that comes with one front suspension. Riders who generally love tours, they use the cross-country mountain bike. If your plan is to ride both in the off-road and flat road then the cross country would be the perfect choice for you. Another type of mountain bike is the dual suspension. This is generally used on rough roads and hard trails where the riders need dual suspension to keep the balance and control the bike. Some riders also use single suspension mountain bike for hard trials. If you are new in biking, you should start using a single suspension mountain bike. Here you will get some of good mountain bike under 300$. Road bike is recognized as the most popular sports bike around the world. This bicycle is basically for pro riders, who take part in the road racing championship. Road bikes are light in weight that makes it faster than any other bikes. Most of the road bikes are made of carbon fiber. The price of road bikes ranges from 300$ to 10000$. Generally, price depends on the type of road bikes and the mechanism used on the bike. 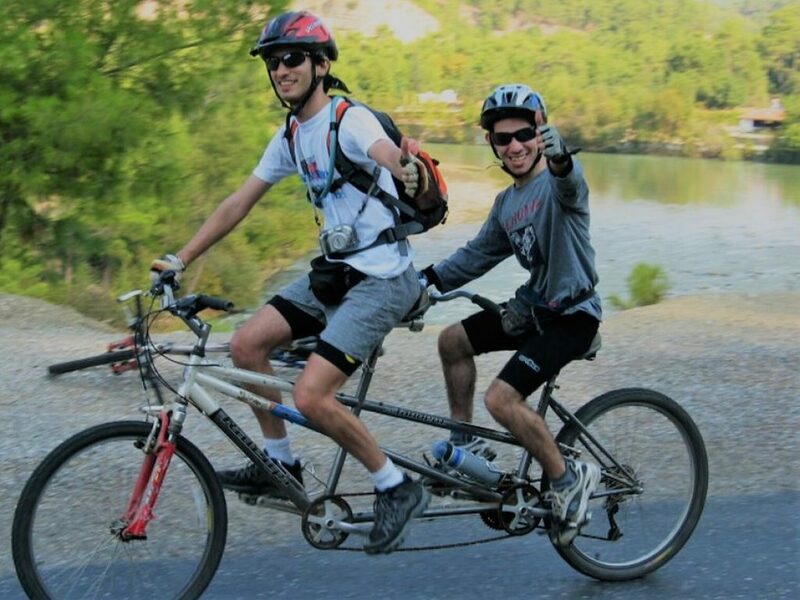 While the Road bikes and mountain bikes are for the single rider, Tandem bike offers multiple saddles for the riders. People generally use tandem to travel with their family or friends. The concept of making tandem was to give the riders relaxing ride while one can’t pedal the bike. 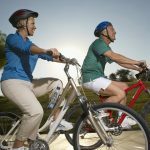 If you want a recreational bicycle then the tandem is the perfect choice for you. Like the road and mountain bike, BMX doesn’t have the facility to pedal for a long time. And it is not used for the long ride. BMX is made for specific sport only. Though some teenagers use BMX to go their school and for short distance ride. There is a big problem of the bicycle- stolen. There are many advanced safety locks are available in the market. But thieves are super advanced than the bicycle lock makers. To keep your bike safe, you have the option to buy the folding bicycle. You can carry the folding bikes wherever you want. Some folding bikes also run on the electric charge. This electric riding facility adds the comfort for office commuting. As the modern technology is evolving day by day, the bicycle industries are complying the modern technology with the design and the features of the bicycle. Though people think the bicycle companies will not make any changes in developing the current bicycles. But it is obvious to see more development in bicycle features.